The Llyn Peninsula to the west of Snowdonia has some spectacular coastal scenery. In fact as you will discover the Llyn Peninsula offers a wide range of activities for all tastes. Many activities are available locally including Karting, Quad Biking, and Archery! 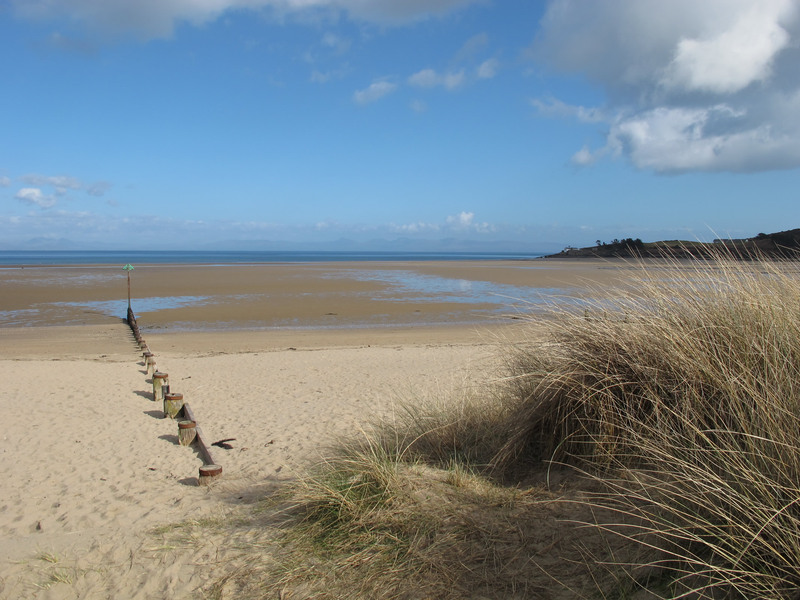 Three miles from Bodwrog is Abersoch, a popular seaside resort on the southern coast of the Llyn Peninsula overlooking St. Tudwals’ Islands. Here is a watersports paradise with its award winning beach, picturesque harbour and an excellent range of specialist restaurants. The pretty resorts of Llanbedrog and Aberdaron are located close by. Llyn is a designated Area of Outstanding Natural Beauty and Bodwrog's location is an ideal location for touring the beautiful Llyn Peninsula. "...a designated Area of Outstanding Natural Beauty..."
For those family days out on the beach there are numerous sandy beaches on the Peninsula, including: Criccieth, Pwllheli, Abersoch, Llanbedrog (1.5 miles from Bodwrog), Porth Neigwl, Aberdaron, Whistling Sands (the sands whistle underfoot on a dry day! ), Nefyn or Porthdinllaen with it's famous pub on the beach. "..and for those rare rainy days..."
In the Llanbedrog area is the Oriel Plas Glyn-y-Weddw Arts Centre, a unique Grade II* listed Victorian gothic mansion which has ongoing exhibitions and arts courses. A few miles away is the well equipped Pwllheli Leisure Center. Criccieth Castle (CADW) - dramatically located on rocky peninsula - home of the best ice-cream in North Wales. Lloyd George Memorial Museum, Llanystumdwy - boyhood home of the politician David Lloyd George. Talhenbont Hall nr Pwllheli - house (built in 1607 and supposedly haunted) and gardens. Bardsey Island - former site of religious pilgrimage (20,000 saints are buried there). Now a nature reserve.